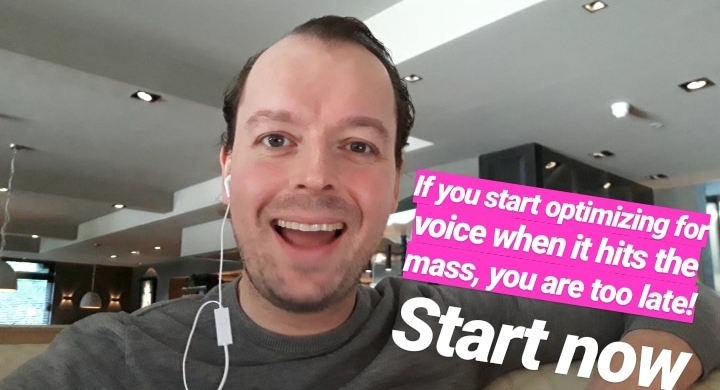 When you start optimizing your content for voice search when it hits the mass, you are too late. Start creating a vision and strategy on voice so you won’t miss the boat or even worse your competitors or new companies already claimed your product domain. The good news: you can start without big impact on your current resources. Start learning and create a customer experience without friction. Always start small with a focus on quality and user satisfaction.